Bedtime Stories: Happy Birthday, Brian Selznick! A great event for American children’s literature occurred on this day in 1966. 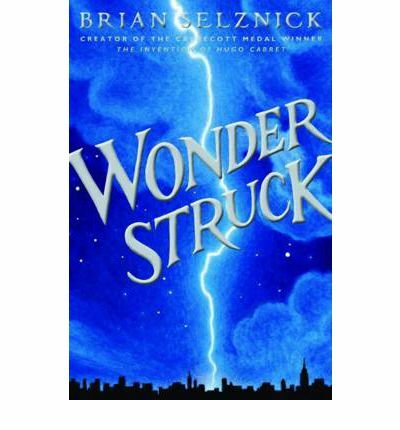 Illustrator and author Brian Selznick was born! 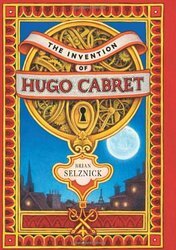 Perhaps you have read one of his remarkable picture book-meets-novels, Wonderstruck or The Invention of Hugo Cabret. Hugo Cabret is an amazing novel all about magic and early filmmakers, automata and a boy who lives in the walls of a Paris train station. It has huge segments that read like a silent film. It was made into a pretty good movie by Martin Scorsese. He has also illustration literally zillions of books for other authors. Okay, maybe not zillions, but a number of books. 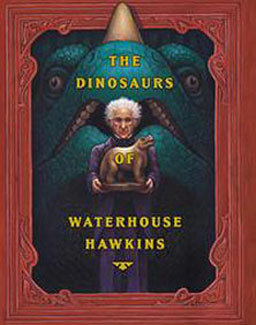 My favorites is The Dinosaurs of Waterhouse Hawkins which tells the story of the British gentleman who assembled the first dinosaur bones into what he believed them to have looked like. Famously (well, famously if you were a dinsoaur nerd as a kid) he thought the iguanadon walked on fours and had a horn on its nose, like a giant iguana/rhinoceros mashup. We now know it actually has spikes on its thumbs, goodness knows why. 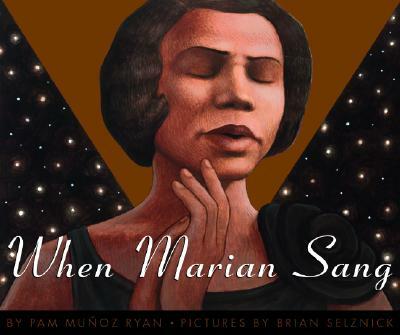 Another great book he illustrated was When Marian Sang about the amazing African American singer Marian Anderson who was forbidden from performing places due to her color. It is a wonderful story and beautifully illustrated. There are more books that he has illustrated and/or written than I can list here but I encourage you to fill your child’s or nephew’s or your own head with the fantastic drawings and stories of David Selznick. Pardon me while I pull myself together. I just went to see what year Labyrinth was released, which gave me palpitations. Next year, the iconic movie, starring David Bowie and a bunch of Muppet-esque creatures, turns THIRTY YEARS OLD. Ouch. Well, let’s just put that aside until next year. I don’t know about where you live, but in Portland, summer marks another Movies in the Park series, with a different city park hosting a viewing of a movie. They range from new blockbusters to classics such as Wizard of Oz and everything in between. I’m pretty sure that Labyrinth is on the docket every year. Starring David Bowie as the Goblin King Jareth, and Jennifer Connelly as discontented 15-year-old Sarah, the rest of the cast is made up of dozens of whimsical, weird, and sometimes creepy creatures from mind of Jim Henson, who pretty much single-handedly created my childhood. When Sarah has to watch her half-brother Toby, she is deeply resentful. So much so that she takes a page from the play she is studying a part for, Labyrinth. She tells the Goblin King to come and take him away. And he does. Suddenly remorseful (who would have thought it would actually WORK?) Sarah now must find her way through an insane Muppet-laden labyrinth to get to Toby, in the goblin city at the center. On the way she meets friends, strange strangers, and a few who are out to get her. If you haven’t seen this 80’s classic, or haven’t seen it in a while, it’s great movie to watch on a picnic blanket with a spread of snacks, or in bed with a bowl of popcorn. It’s not uncommon to find Leopard, Zebra, and Cheetah prints in traditional and contemporary rooms. In fact, animal prints are often considered classic –– a pair of pillows, a throw, or an area rug can swiftly add punch or personality to any interior. Animal prints can make a room feel less serious or more luxurious; they’re versatile and adaptable. With the above in mind, it’s easy to understand why these bold, earthy patterns never go out of style. Let’s explore how we can successfully use animal prints in bedrooms. 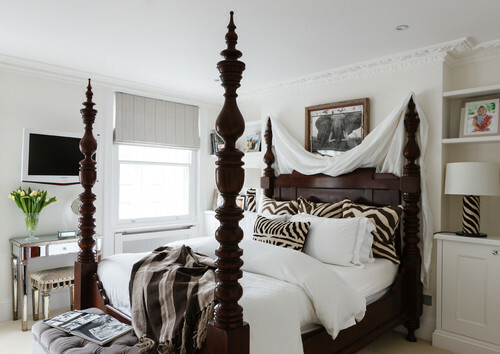 Ralph Lauren zebra pillows create a soft backing against a wooden headboard in this London home. The elephant art above the bed ties all of the elements together. I like the style of the bedside lamps, but I would’ve selected a different pattern or a plain finish rather than more zebra, allowing the print on the bed to be the star. Pairing pink with animal prints isn’t the most obvious choice, but the duo creates a dynamic interior in this Connecticut bedroom. Beyond the artwork, the animal print bed and pillows are the only pattern in the space. The Roman shades help soften the windows and allow light to filter in. 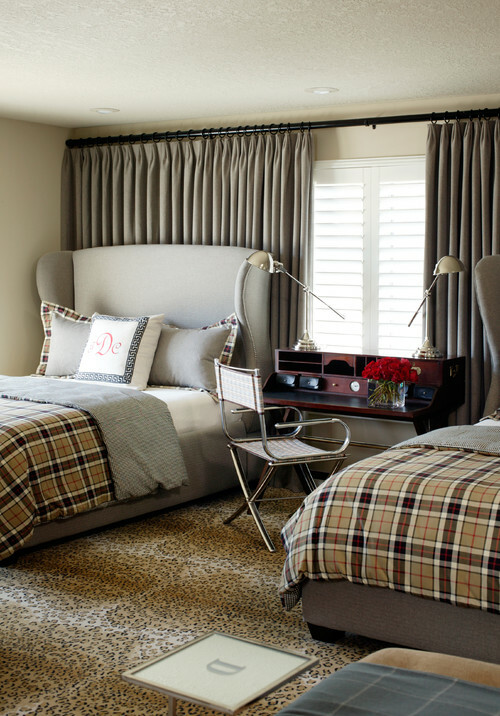 Burberry and leopard complement each other nicely in his Little Rock bedroom by Tobi Fairley Interior Design. This room is a fantastic example of how to combine patterns with ease. 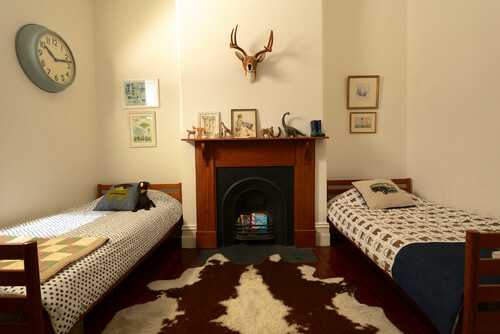 A cowhide adds a whim of sophistication to this child’s bedroom. With a few small changes, the space can easily transition to an adult bedroom in the future, if desired. 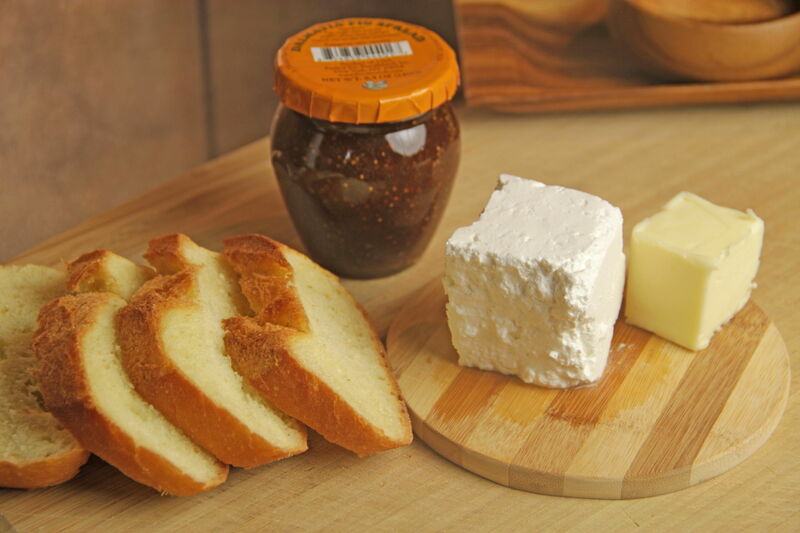 In Iva’s native Albania, breakfast can be as easy as toasting a thick slice of crusty bread, then schmearing with a swipe of butter, a dollop of fig marmalade, and a generous hunk of creamy feta cheese. It’s warm and toasty, sweet and salty. I gobbled mine up in seconds. I was able to purchase a good fig spread in a local specialty grocery, but if you can’t find any, try ordering online. Dalmatia Imports makes a very nice fig spread (as well as other interesting fruit condiments and tapenades) which can be ordered from igourmet.com. There is hardly any sweetener added, so the spread has a rich, natural fruit flavor. 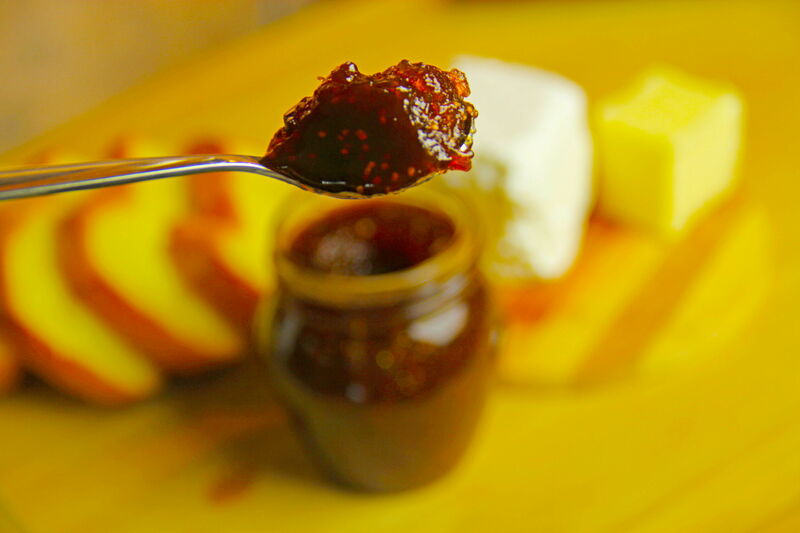 Try it, and you will soon find yourself experimenting – fig spread adds sweetness and dimension to sandwiches, pastries, cheese dips, even ice cream! What have you got to lose? 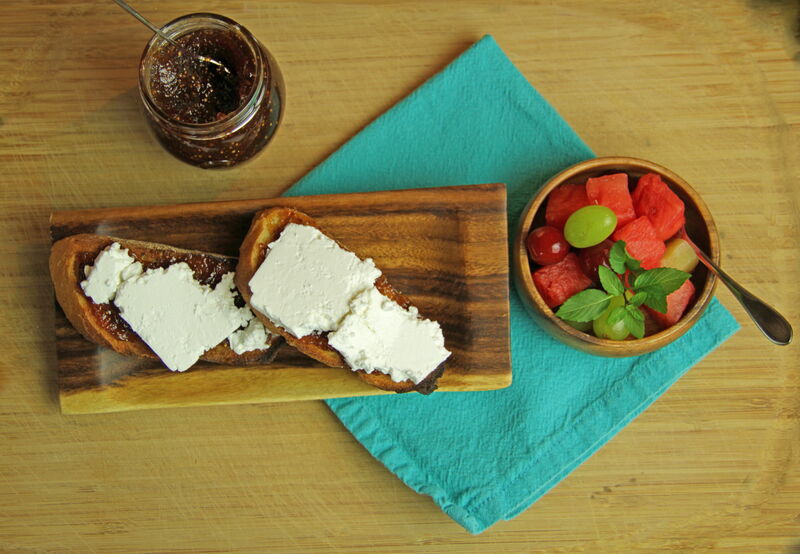 Try Iva’s perfect pairing of fig n’feta for a wondrous breakfast in bed! 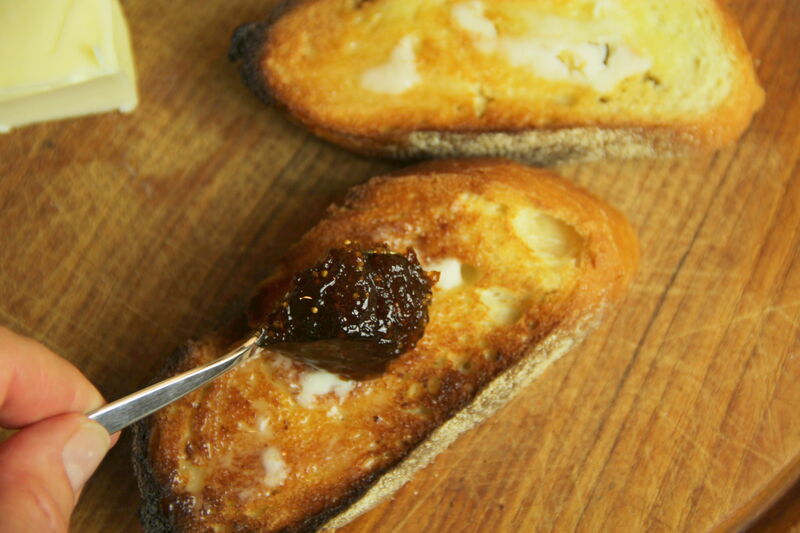 Toast bread to a light golden brown. Spread butter evenly on toast slices. 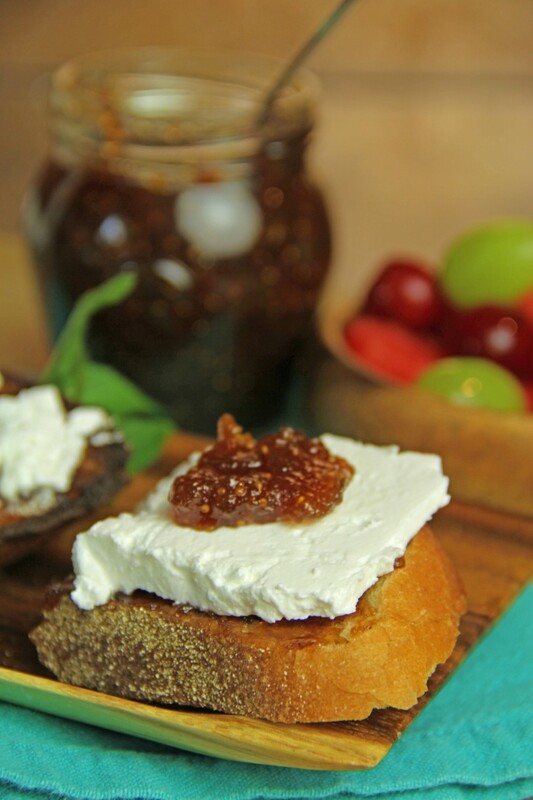 Top with fig spread and a slice of feta cheese. Serve while still warm, accompanied by fruit and a glass of steamed milk. 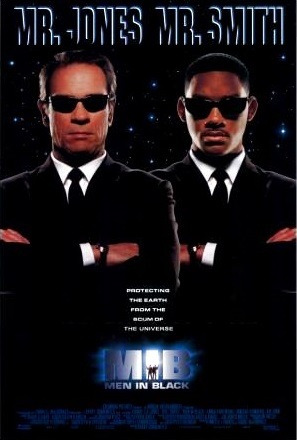 It was a moment of great excitement when I realized that my kid was old enough to appreciate the 1997 alien comedy, Men in Black. If you haven’t seen this movie, I’m surprised. But, there are worse ways to spend a blistering hot summer evening. With what one could call an all-star cast of Will Smith, Tommy Lee Jones, Vincent D’Onofrio, Tony Shalhoub, and more, it’s a funny take on the 90s comic book series. Jay is a streetwise NY cop who has an encounter with an unusual individual. He comes to learn this individual was an alien, which leads Jay down a path to discovering the Men in Black, a secret semi-governmental organization dedicated to keeping a quiet peace between earth and its otherworldly visitors. Kay, who intervened in his investigation, invites him to join. And so Will Smith becomes the young cheeky counterpart to Jones’s clipped, no-nonsense philosophy. Together they set out to determine why aliens are fleeing and where a hidden galaxy is so they can get to it before the bug in human skin (D’Onofrio) can get to it. It’s a fun, silly, action-filled movie. There is some strongish language, but nothing too terrible. Good movie for a lazy Sunday in bed.